Sopapilla. The word conjures up all manner of interesting foreign food, doesn’t it? That’s the name I found for this pretender to the name on several sites, including Pillsbury’s. This is not sopapilla. This is sopapailla. Photo: Wiki CC. 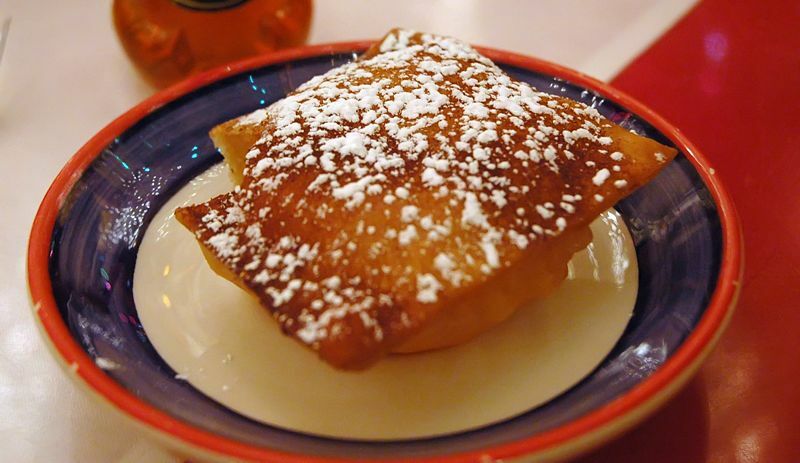 So what is sopapilla, really? 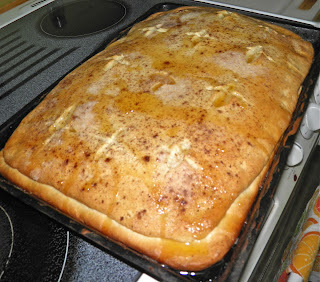 A sopaipilla is traditionally made from leavened wheat dough (or a mixture of wheat flour and masa harina) to which some shortening or butter is added. After being allowed to rise, the dough is rolled into a sheet that is then cut into circular, square or triangular shapes. The shapes are 8-10 cm in size for the longest dimension (if intended for a dessert) or 15-20 cm (if intended to be stuffed for a main course). The shapes are then deep-fried in oil, sometimes after allowing them to rise further before frying: the frying causes the shapes to puff up, ideally forming a hollow pocket in the centre. Not only is this recipe not deep fried, but it has cream cheese baked right in the centre. The devil's in the details, or in this case, the technique. It is, with very little doubt, the creation of the General Mills/Pillsbury kitchen to sell more of their crescent rolls. When companies start inventing things to sell products that usually spells trouble. All one has to do is look to the drivel that has emerged from the Campbell’s soup kitchens over the decades. For example, chicken and rice baked in cream of mushroom, sometimes with celery, soup. Have you ever made it from scratch? You should. What a difference. But that recipe is relatively "normal". That would be a good topic for a cook book – making recipes from scratch that were invented to increase sales of a specific pre-made product. 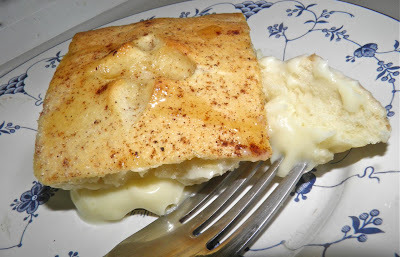 Like mushroom soup chicken rice bake, or this sopapilla cheesecake. There’s a lot of recipes out like that. They’re mostly “bad soup ideas” courtesy of Campbell’s. How about “birthday soup” complete with floating candles on melba toast? Fish around on both sites. They're a lot of fun. 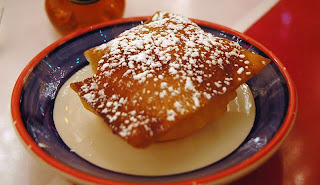 This “sopapilla” is actually a really good dessert idea, it’s just not what it says it is. It's even better when you make your own dough. Sadly I don’t really have another short, memorable name for this so I guess sopapilla it will remain (even though it’s not). One thing I want you to know: I ate a piece of this straight from the oven. It was good, but it was even better several hours later after it had completely cooled. My first piece was at about 11am. The second piece was about 8 hours later. It had much improved. Try to eat it within 24 hours. I imagine this has a short "freshness" window. That shouldn't be a problem though. Proof the yeast in the warm water until frothy, about 10-15 minutes. If it has activated, proceed. If not – go buy new yeast and start again. Add the sugar, eggs, butter and 2 cups of the flour. Beat until relatively smooth. 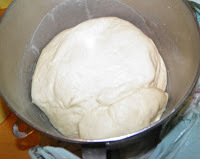 Then add the remaining flour and knead for 8-10 minutes until very soft and smooth. 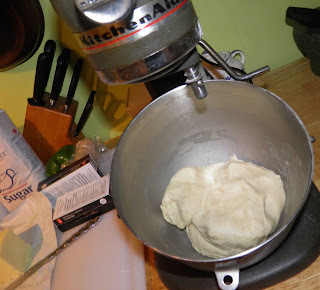 A dough hook in a mixer is perfect for this. Cover and let rise until doubled, about 2 hours. After the dough has risen remove from the bowl, punch down and let rest while you make the filling. 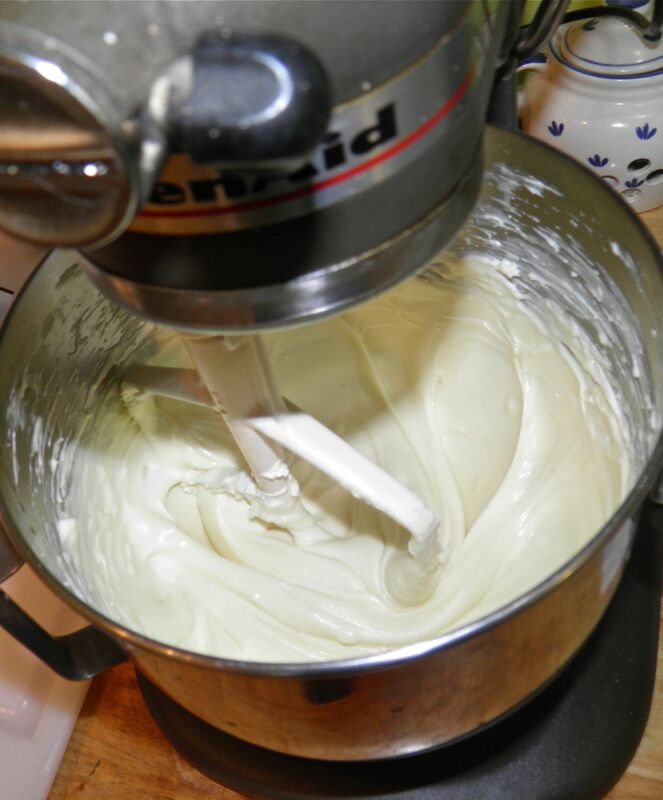 Combine the cream cheese, sugar, egg and vanilla and beat until smooth. Scrape down the sides of the bowl to ensure you incorporate all of the cream cheese. Divide the dough in half. Roll out each piece so it will fit the bottom of a 10x15 jelly roll pan (or similar cookie sheet). They will be a little sticky but try to do it without adding any additional flour. Place one rolled piece of dough on the un-greased pan. Then add the cream cheese, leaving abut 1/2” all around the edges with no filling. Place the second sheet on top of the filling and stretch it out to the edges. Pinch the two edges of the crust together. This step may get a little messy… You’re putting a stretchy piece of dough atop a wet filling. Once sealed, brush the surface with the melted butter. 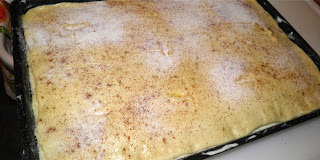 Then mix together the nutmeg, cinnamon and sugar and sprinkle over the top. Cut several vents in the top crust. Bake for 25-30 minutes or until golden brown. Heat the honey and drizzle over the top while still hot. This dessert is best after cooling and sitting for a few hours.